Can food help prevent disease, such as cancer? The answer is yes – some foods do show cancer-fighting properties, though scientists haven’t yet determined that one food or another can stop cancer in its tracks. In fact, scientists know more about what not to eat – processed meats, salty foods, sugary drinks, huge helpings of red meat (read more in our 15 Cancer Causing Food You Probably Eat Every Day) – than which fruits and vegetables you should pile on your table. But they do know those foods matter. A significant body of research from around the world suggests an overall healthy diet filled with fruits, vegetables and seafood (similar to the Japanese diet, post Hiroshima and Nagasaki) is the key to skirting heart disease, diabetes, and cancer, too. The American Institute for Cancer Research has been pointing to the benefits of eating mostly foods of plant origin, such as broccoli, berries, and garlic which showed some of the strongest links to cancer prevention. So we do know that a balanced diet that sits a bit on the alkaline side, along with as few toxins in the body as possible makes your body an inhospitable place for cancer to start or live. The goal should be to strengthen the immune system and make it a natural barrier, fighting off cancer, while you support every healthy cell in your body with beautiful nutrition and the right kind of fats. Wondering, what those ‘cancer-fighting’ foods are like? Check out our list of top 13 foods known to stop cancer and help you to a long and healthy life. Not just any green tea but matcha green tea. It is a unique variety that is powdered in a special way and used in traditional Japanese ceremonies. You can find one in every Japanese home and they claim they drink it more than water. 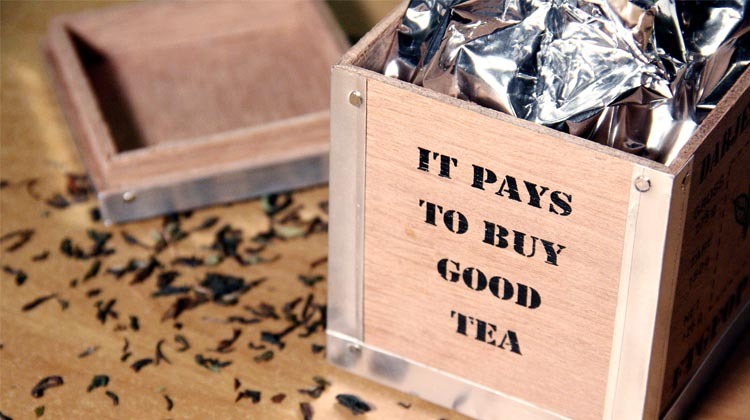 The secret of matchas’ abilities can be found in the polyphenol compounds, called catechins. Research shows that the catechins in matcha tea can not only protect you from the damage caused by the Sun’s UV rays, but also improve the functioning of your immune system. The National Cancer Institute states that catechins have been proven clinically to protect cells from DNA damage due to its substantial free radical killing abilities. Other polyphenol compounds in matcha tea have been found to inhibit tumor cell development. That is a great deal of cancer protection from such a small drink! Berries are some of the best fruits you can choose for cancer protection. Not only that, research points to possible protection against heart disease and memory decline as well as cancer. In a recent study, berry extracts slowed the growth of cancer cells; specifically, strawberry and black raspberry extracts had the greatest impact on colon cancer cells. 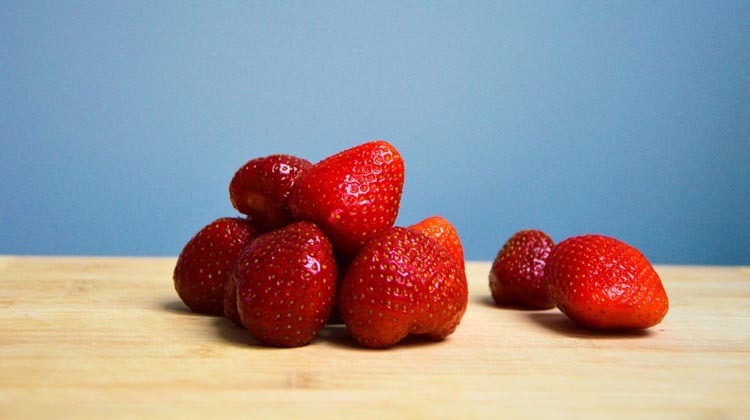 Strawberries are rich in antioxidants such as vitamin C and ellagic acid. In laboratory tests, ellagic acid seems to have anticancer properties that rev up enzymes, which destroy cancer-causing substances and slow the growth of tumors. They also contain flavonoids, which suppress an enzyme that damages DNA and has been linked to lung cancer. Other types of berries, all rich in flavonoids, deserve a spot on your plate, too: raspberries, blackberries, blueberries, and cranberries. Blueberries are packed with anthocyanins, which reduce inflammation and are one of the most powerful antioxidants. World Cancer Research Fund and the American Institute for Cancer Research consider berries and cruciferous vegetables the most powerful protective foods. You knew there was a good reason to eat fish every week, right? Flaxseed oil and hemp oil, and eating all those delicious oily fish like salmon and mackerel provide your body with omega-3 fatty acids which make your body not-a-great-place to cancer cells. DHA (docosahexaenoic acid), a type of omega-3 fatty acid, has been shown to reduce the size of tumors, as well as enhance the positive effects of chemotherapy drugs while limiting their side effects. DHA is also a major component of our gray brain matter and our retina. It’s essential for normal neurological as well as cellular development. Research has found that DHA acts at a molecular level and reduces the accumulation of white blood cells, oxidative stress, as well as overall inflammation. All of these processes have been linked to the growth of cancerous tumors. The National Cancer Institute publicly states that it recognizes garlic as one of only few vegetables with potential anticancer properties. 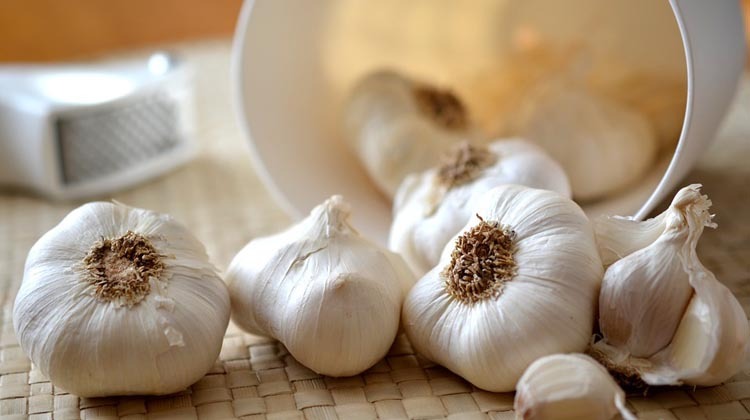 Garlic is connected with reducing the risk of certain types of cancer, especially cancers of the gastrointestinal tract. It is theorized that the protective effects from garlic may arise from its antibacterial properties or from its ability to block the formation of cancer-causing substances, halt the activation of cancer-causing substances, enhance DNA repair, reduce cell proliferation, or induce cell death. It is most beneficial to eat garlic raw. This tasty herb fights off those nasty free radicals, reduces inflammation in the body, and can fight cancer. Whoever thought “garlic breath” might be good for you? The same sulfur compounds causing the odor may also stop cancer-causing substances from forming in your body and kill cancer cells. Popular studies also connect garlic with reduction of the risk of developing colon cancer. The Maitake and Shiitake mushrooms, native to Japan, improve your immune function and are great sources of antioxidants. They are also full of vitamins, including C, and B, as well as calcium and other important minerals. Furthermore, shiitake mushrooms are known for fighting the development and progression of both cancer and AIDS by improving the immune system and allowing your body to fight off these diseases on its own. Lentinan, a compound found in the mushrooms, can stop or at least slow the growth of tumors. An activated hexose compound, known as 1.3-beat glucan, is linked to a slowed activity within tumors as well as found to lessen the terrible side effects of chemotherapy. Maitake possesses immune-boosting compounds called beta-glucans, which, though present in certain other foods, possess a structure in maitake mushrooms that is particularly effective. When you eat maitake mushrooms you activate white blood cells known as macrophages, which have the job of engulfing foreign particles such as pathogens and tumor cells. Macrophages, in turn, activate other components of the immune system, such as natural killer cells and cytotoxic T cells. 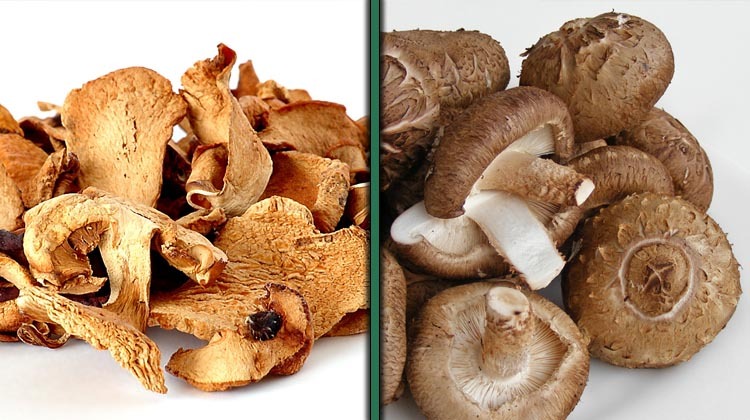 Unlike other anti-cancer agents, which must be injected, maitake is effective when taken orally, making it useful as a food or dietary supplement. Eat both the stem and the top of the mushrooms for all the health benefits. If you find these mushrooms to your taste, you can even find kits for growing them at home. You might wonder how something that tastes so good and irresistible can be so great at knocking out cancer? The “culprit” is resveratrol, a powerful antioxidant, which gives grapes their power. Like all antioxidants, it can reduce cancers and pre-cancerous growth and prevent the development of cancerous tumors. 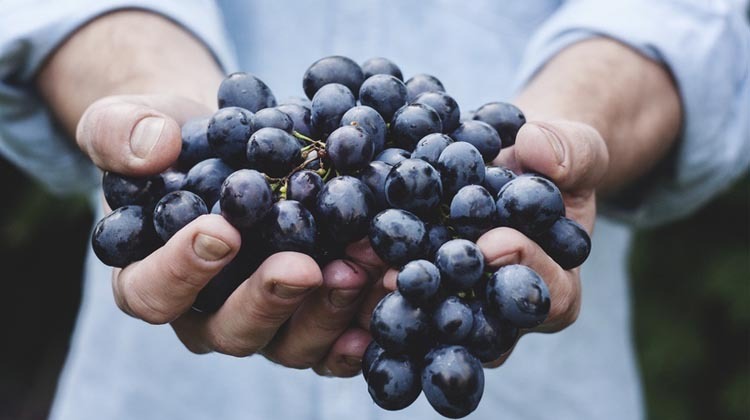 Research has shown that resveratrol is particularly potential to stop breast, liver, and stomach cancers. Green grapes have less resveratrol, as compared to red and purple ones. Also, the skin has a lot of the compound. It’s recommended that you eat less seedless grapes and eat more of the seeds that are in grapes for your best health. If you consume organic red grapes daily, or drink fresh grape juice, you will have a naturally defender against cancer and tumor growth. SOURCE: Jo, J. Journal of Agricultural and Food Chemistry, April 6, 2005; vol 53: pp 2489-2498. News release, University of Illinois at Urbana-Champaign. Your mom was right; you should have eaten your broccoli! Broccoli and other cruciferous vegetables such as cabbage, kale, radishes, turnips and cauliflower contain phytochemicals called glucosinolates, which produce protective enzymes that are released when you chew the raw veggie, rupturing the cell walls. Your body also produces those enzymes in the intestines and when raw or cooked broccoli passes through, the enzymes are activated. One of the most protective of these enzymes is sulforaphane and broccoli is the best source of this particular compound. Scientists are researching how sulforaphane might reduce cancer risk, from detoxifying harmful substances (such as smoke and other environmental pollutants) in the body to operating as a kind of antimicrobial agent by attacking the bacterium H. pylori. Broccoli and its cousins are most protective against cancers of the mouth, esophagus, and stomach, according to a review of hundreds of clinical studies conducted for the World Cancer Research Fund and the American Institute for Cancer Research. Researchers at Ohio State University did a study that showed that anthocyanins, the substances that give cabbage their purple color, cut the growth of colon cancer cells in by 50% to 100%. Dark colored plants are all a good source of indole-3-carbinol, a compound that improves cell DNA repair while blocking growth of cancerous cells. So do what mom always said. 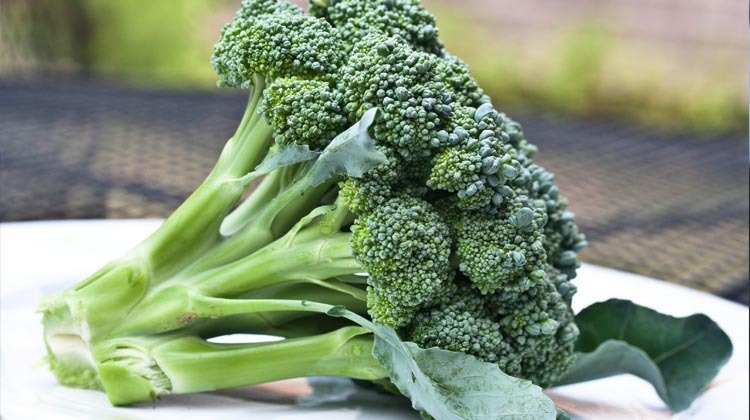 Steam broccoli and toss with garlic and olive oil for a healthy dish. Or just nibble on some raw florets. 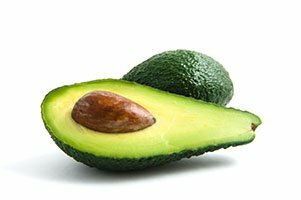 Folates rich foods include avocados, apricots, pumpkin, green leafy veggies, and chicken livers. Studies have shown that folates, or even its synthetic form, folic acid, significantly reduce the risk of colon cancer. They are also vital to the body for their function to correctly replicate DNA. The synthetic folic acid, or B9, is often added to our food supply. It costs more and is less stable than the nature made version. Natural folates are preferable to synthetic versions, because man made molecules can sometimes act in unpredictable ways within the body’s normal biochemical pathways. If you have ever heard from someone that folates cause cancer, rather than prevent, they are actually referring to the synthetic version. Folates, which are made by nature, never cause problems. Turmeric, native to southwest India, contains a compound called curcumin, which is believed to be capable of containing the spread of cancer. It has powerful anti-inflammatory and anti-oxidative (those that fight against free radicals) properties. A summarized review of more than 700 studies done with turmeric (by the respected ethnobotanist James A. Duke, Phd., in the October, 2007 issue of Alternative & Complementary Therapies, and summarized in the July, 2008, issue of the American Botanical Council publication HerbClip) showed that this root appears to outperform many known pharmaceutical drugs. In India, turmeric has been used in an attempt to treat stomach and liver ailments, as well as topically to heal sores, based on its supposed antimicrobial property. There, most people eat between 2 to 2.5 grams of this spice every day. That would be equal to about 4 to 6 capsule supplements. India has some of the lowest incidences of prostate, colon, lung, and breast cancer in the world. Some researchers connect that fact with the amount of turmeric that is consumed in the country on a regular basis. While hard research evidence for all claimed health benefits is still somewhat eluding, turmeric is currently under study in several human diseases, including kidney and cardiovascular diseases, arthritis, cancer, irritable bowel disease, Alzheimer’s disease, diabetes, and other clinical disorders. Now who would have thought that those little tomatoes in our salads could fight cancer? It’s the carotenoids and lycopene that are found in tomatoes that do most of the work when it comes to fighting cancer, especially against cancer of the pancreas and prostate. 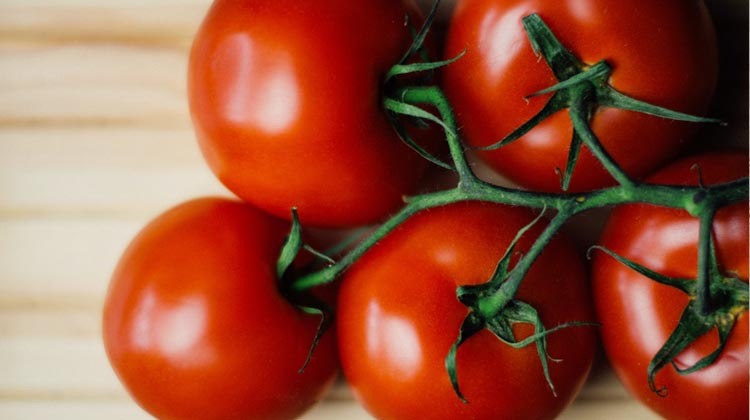 The American Institute for Cancer Research notes that lycopene, a powerful antioxidant, together with a group of related compounds collectively called the “red family” have displayed anti-cancer potential in a variety of laboratory studies. In the laboratory, tomato components have stopped the proliferation of several other cancer cells types, including breast, lung, and endometrial. To get the most benefit, you need to consume seven to ten servings every week. That’s not as hard as it sounds. A few tomatoes in your salad, perhaps one in your green smoothie, some spaghetti and lasagna for dinner, and some fresh tomato juice in the afternoon and you’ve got yourself set up for the week. For the best health, always make your own pasta sauce and juice fresh from organic tomatoes. Certain fruits and vegetables and other plant foods get plenty of recognition for being good sources of antioxidants, but beans often are unfairly left out of the picture. Some beans, particularly pinto and red kidney beans, are outstanding sources of antioxidants and should be included in your anti-cancer diet. Beans also contain fiber, and eating a high-fiber diet may also help reduce your risk of cancer, according to the American Cancer Society. The link between eating beans and lowered risk of cancer was established several years ago, in a broad-reaching study using data from 41 countries. 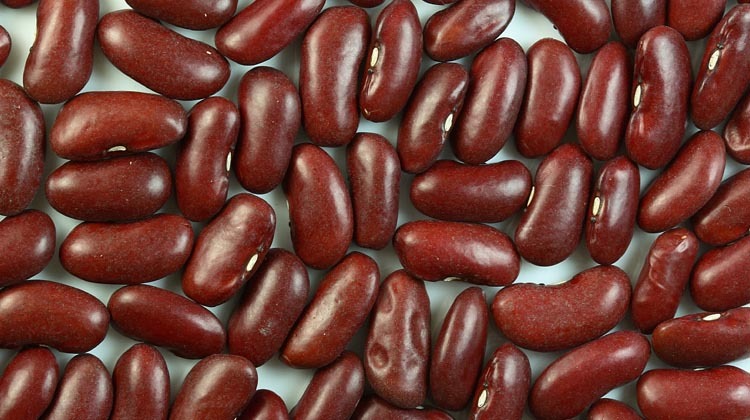 Researchers found that eating beans reduced incidence of death from breast, prostate, and colon cancer. Further studies have linked bean eating with reduced risk for many other types of cancer. Beans are thought to be especially effective against breast, prostate, renal, gastric and colon cancer. So, what’s the secret that lets beans turn out results like these? It’s called inositol hexaphosphate, or IP6 for short and it’s a powerful cancer fighting compound found in abundance in beans. Another feature of beans known as inositol pentakisphosphate (IP10) is so powerful that was found to inhibit the growth of tumors in mice all by itself! As with other fruits and veggies, the darker and more intense color of the beans, the greater the antioxidant protection for you. Maybe you’ve heard that lutein, an antioxidant, is good for your eyes. Research is by no means confirmed, but it might also play a role in guarding against cancer. Spinach is also rich in lutein and zeaxanthin, carotenoids that remove unstable molecules called free radicals from your body before they do damage. They’re found in spinach and other dark green leafy vegetables, and some studies show they could protect against cancer of the mouth, esophagus, and stomach. An NIH/AARP study of more than 490,000 people found that those who ate more spinach were less likely to develop esophageal cancer. Some studies suggest the carotenoids in spinach and other foods reduce the risk of ovarian, endometrial, lung, and colorectal cancer, too. Throw in folate and fiber, which researchers think might trim the risk of certain cancers, and you’ve got nutritional powerhouse in every dark green leaf. As we already learned, folate helps your body produce new cells and repair DNA, and is especially important for women of childbearing age because it can prevent neural tube defects in a developing fetus. 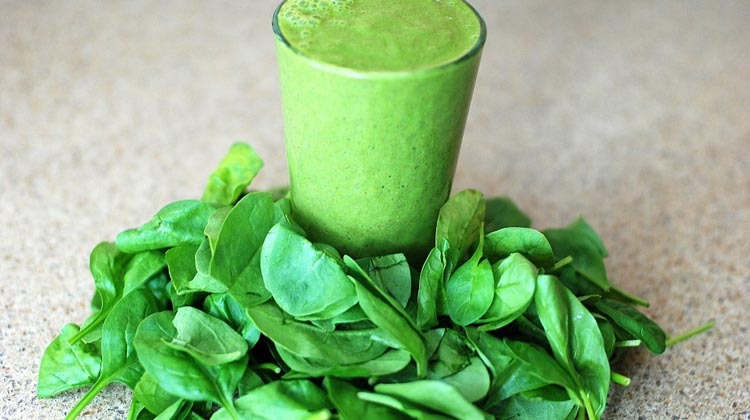 You’ll get the most lutein from raw or lightly cooked spinach. You can enjoy it in a salad, steamed, or sautéed with garlic and olive oil, or stirred into soups. Carrots are simply packed with disease-fighting nutrients. 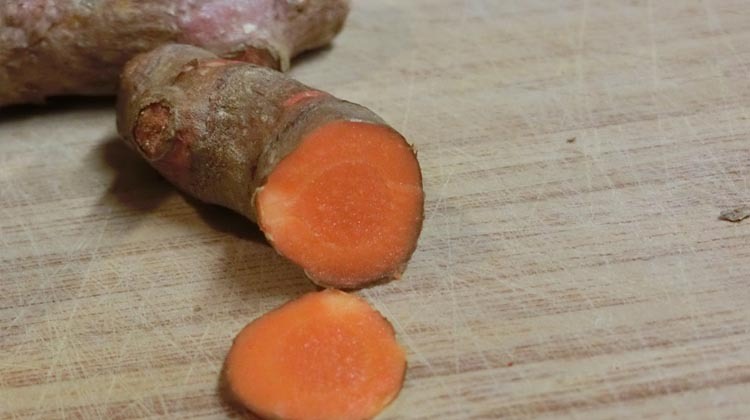 They contain beta-carotene, an antioxidant scientists believe may protect cell membranes from toxin damage and slow the growth of cancer cells. Carrots also deliver other vitamins and phytochemicals that might guard against cancers of the mouth, esophagus, and stomach. Certain studies suggest carrots protect against cervical cancer, perhaps because they supply antioxidants that could battle HPV (human papilloma virus), the major cause of cervical cancer. 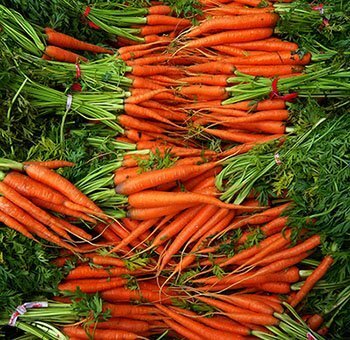 In addition, carrots contain falcarinol, a natural pesticide. Scientists in the UK found that rats given falcarinol were less likely to develop cancerous tumors. Surprisingly, cooked carrots supply more antioxidants than raw, according to a report in the Journal of Agriculture and Food Chemistry. If you’re cooking carrots, leave them whole while steaming or boiling, and cut them after they’re done. That reduces the loss of nutrients, including falcarinol, and gives them a sweeter taste as well. With carrots we finish our list of the 13th most powerful foods that are most likely to protect you from cancer. Remember, food does matter and complying to a balanced and healthy diet, with lots of items from our list, is a duty we owe ourselves and our bodies for their fateful service. It is always better to prevent than treat, and that goes double for cancer. As always, if you found this article helpful, don’t forget to share and spread the word.